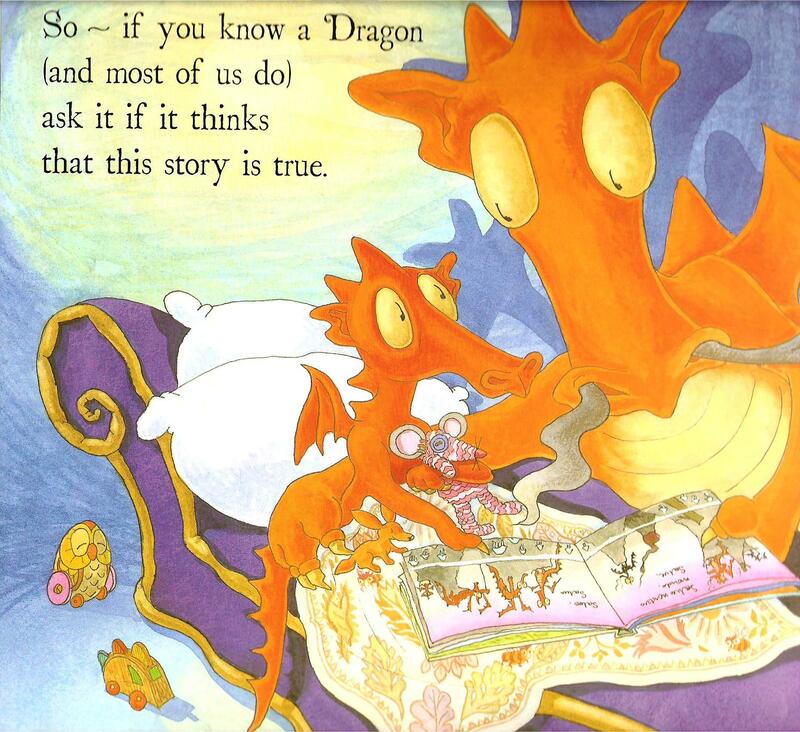 The Trouble With Dragons by Debi Gliori (Bloomsbury, 2008) is a fable about messy, careless dragons. Below, the little dragon is looking at a picture of dragons stranded on mountaintops as the weather changes: a picture the little human reading the book has just seen, six openings before. See also The Scariest Thing of All, Dragon Loves Penguin and Stormy Weather.